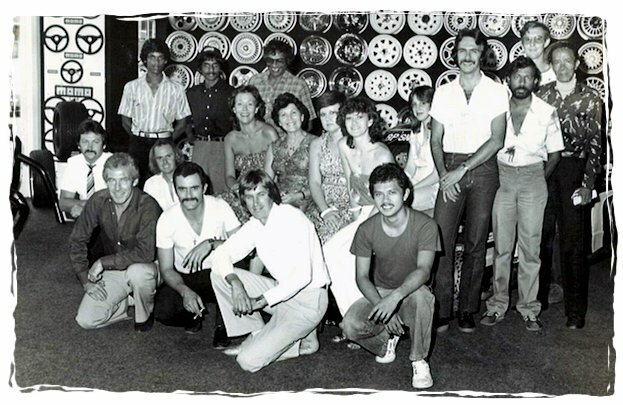 A-Line wheels has a long history in the wheel business, it was founded in 1978 by George Santana and Bruce Coquelle. People that were passionate about cars and motor racing. The Company has been selling wheels under the A-Line brand since 2001 and A-Line is today a Registered Trade mark. A-Line Wheels give its customers a choice of brands namely: A-Line, Envy, SA Custom and the Outback Range. A-Line is also the importer of genuine BBS wheels from Germany. A-Line wheels are manufactured according to the highest standards, ISO 9001, QS 9000 and VIA standards of approval. Our wheels are tested and required to pass strict JWL and JWL-T standards. A-Line complies with the correct Load Capacities and Standards suitable for South African conditions. A-Line imports the latest trends and has a quest to deliver the most fashionable and attractive designs to suit all automotive enthusiasts. Over 130 designs are available, comprising of Passenger, MPV, SUV, 4X4 as well as classics and racing wheel designs. There are three warehouses situated in Johannesburg, Durban and Cape Town. Staff have a good sense of service and product knowledge, with most staff having a long service history. A-Line has a country wide Dealer Network and wheels are distributed to these dealers. Welcome to the World of A-Line, please contact us to find your nearest dealer.